This app is useless now. I keep getting "token expired" whatever that means. It won't let me highlight or anything. I really frustrated bc it was expensive and they've ruined it. I'm getting no response to emails. I'd stay away from the app until something changes and don't throw your money away. 1. Find it frustrating to highlight selected bible verses completely to share : the highlighting is not user friendly. I lose some top or bottom lines. 2. 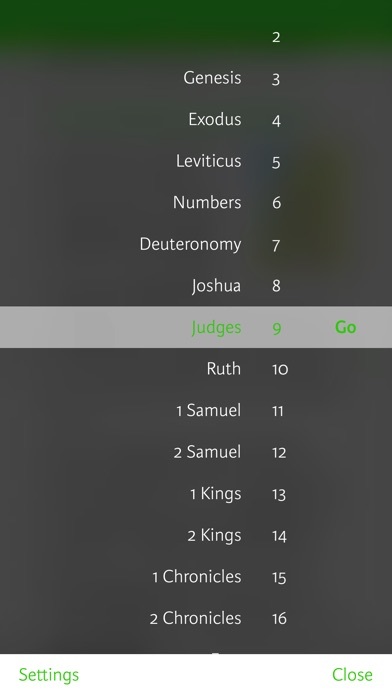 The previous update gave way to read verses of one’s choice but this new update requires you to read the chapters to your desired verses. 3. When is audio of this great app coming off. Best bible ever!! Worst app ever!! 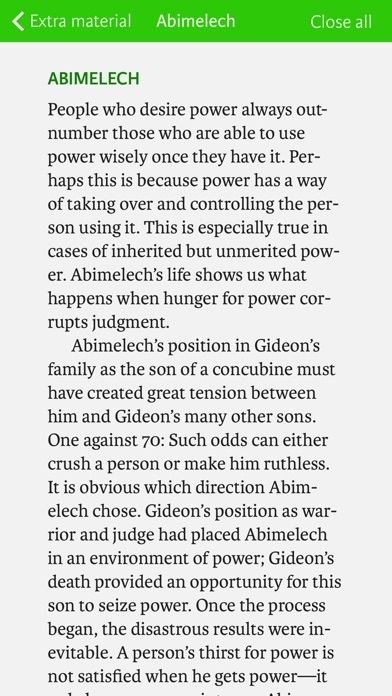 I have a hard copy of this bible and it’s teachings have been amazing, however, it’s a heavy bible to carry around all the time, so I like the convince of having the app also. About 6 months again I’ve been having the worst trouble with the app. It never works! The study part doesn’t show up and I am constantly reverted to purchasing it after I’ve already done so. Over all I rated it one star as the worst app ever!! Don’t wast your money on an app that has technical difficulties that keep you from being able to access it. Buy a hard copy it’s life changing. I downloaded and reinstalled the app 4 times hoping that the $30 purchase I made would show up...it never did...not very user friendly because of this. Will not be recommending to my church. Love the printed version though! I have to discontinue using this app after several years of it being my #1 go to app for my Bible. It no longer works. I cannot access the Bible versions and study guides I paid $39.99, $9.99, $9.99 and $9.99. It’s a shame. Life Application Bibles are wonderful to use. Just don’t waste your money or your time trying to use this app. Difficult to navigate. Must purchase study material and NIV bible (which I did) but very disappointed. 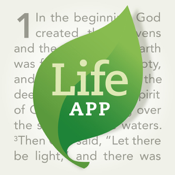 I had the older version of the Life Application Study Bible which I paid for the app. The older version was much easier to use. Since the updates, it is clumsy and not easy to use. I can’t find the commentaries anymore. I don’t recommend this app. I am seriously disappointed with the updates. It is not easy to use. The older version was much easier. Updated doesn’t mean better. I "PURCHASED" this app a few years ago and I LOVED it. After updates were made to the program, it became less desirable. The clock was removed (the clock being available was valuable to me), in the contents area you can no longer select specific scripture verses, with this current version you are unable to highlight selected scriptures and just recently this app has scrambled all my study portion of the LA'S'B so there's no study portion to refer to unless I pay an additional $29. I've paid for this app once before and have no intentions of doing so again. So now I'm searching for another app to buy and download. I downloaded this for $9.99 expecting a study Bible but all I got was a Bible, no study Bible. Have contacted the company several times emailing & calling asking for my money back. No response.i guess to get the study Bible, they want you to pay an additional $29.99. This is ridiculous & dishonest. I give this app a zero rating for taking money & getting a Bible I already have downloaded from another app for free. Then lure you to purchase what you really wanted in the first place, a study Bible. I love the Bible and the study guide but I’m giving a 1 star because I lose EVERY SETTING each time they update (which is frequent) and I have to spend hours redownloading my bible and then the study guide and then reset all the settings. I’ve had this $20 app for years now and have had to redownload over a dozen times. It’s pushed me to just google bible stuff instead of using my app. It was an great app but with updates it drops info and tells you that you have the lite version and requests you buy it again.. confusing. I expect more from Tyndale. 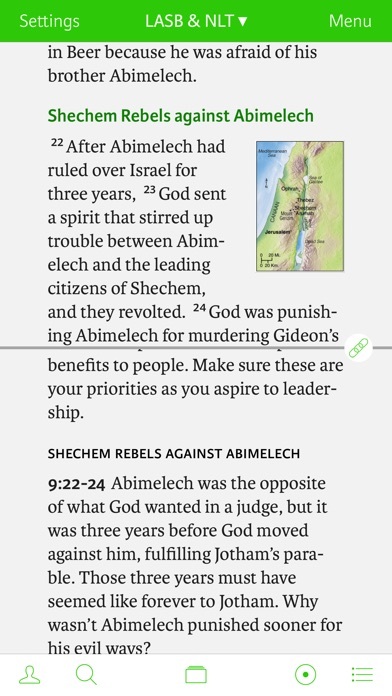 I love the study bible itself and the app is wonderful but I find many errors in it. I have an iPad mini 4 and I’m using the LASB and in the KJV version. An example of errors would be Matthew 1:5, it reads, “and Salmon begat Booz of Rachab; and Booz begat....”. The mans name was not Booz. It was Boaz. And later down in Matthew 2:17 it calls Jeremiah “Jeremy”. If it were another version besides the KJV I’d think it was because of the interpretation that you used Jeremy, (not Booz) but it’s a King James Version! It’s little things like that that made me give it only 2 stars. This app (because it’s a Bible) should have been gone through with a fine tooth comb to ensure there are no errors before it was released and sold for $29. Shame on you Tindale House. For what you charge for this app, it should be perfect.